The speaker for the evening was Marcus Stanfill, Program Coordinator of the Carnegie Art Center. Stanfill. Mr. Stanfill grew up in Alaska and has extensive background in performing and visual arts. He is excited about the new life that has been breathed into the Center by dedicated staff, volunteers, and board members. 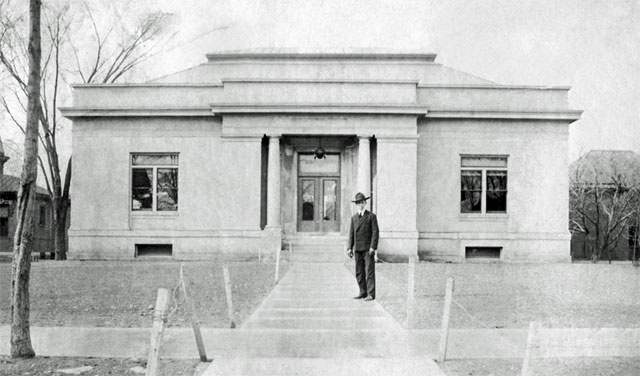 Stanfill presented a brief history on the Carnegie Center from its 1903 inception, when it was actually the center of town, through the changing times and purpose, to the new visions for the future. A tour of the building culminated the evening’s program as we viewed the transition of the original building.